I am the kind of sewer that picks out a project, finds an appropriate fabric and then works on the project until completed. 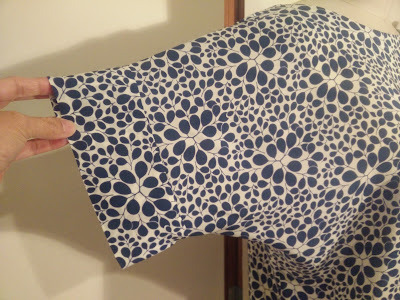 I don't often hoard stuff, but I do have a small pile of fabric that I have purchased in the past because something drew me to it, most likely a lovely print. 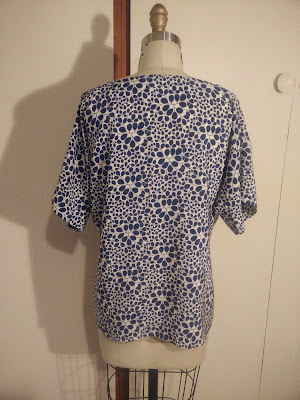 I forgot I had bought these Salme sewing patterns at the last Bolt sale and quickly decided on which shirt to make. 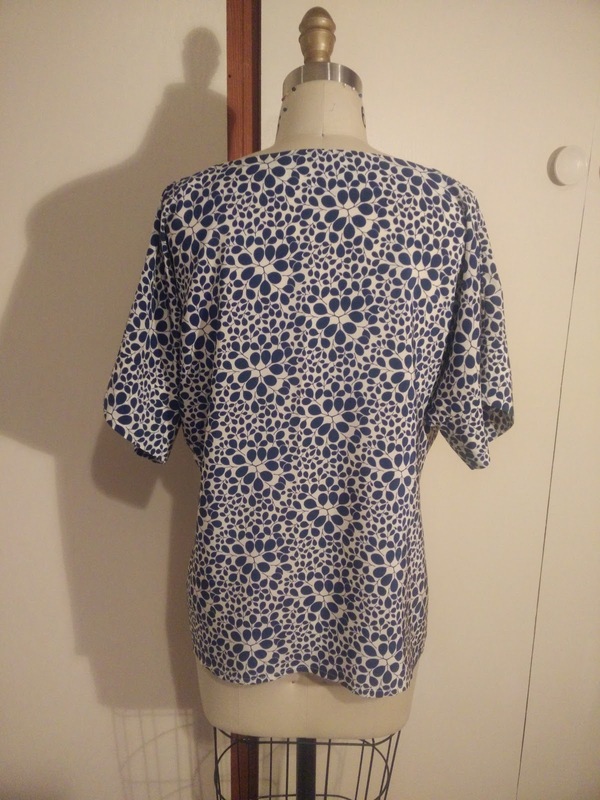 I went with the Kimono Top since it was the least complicated. 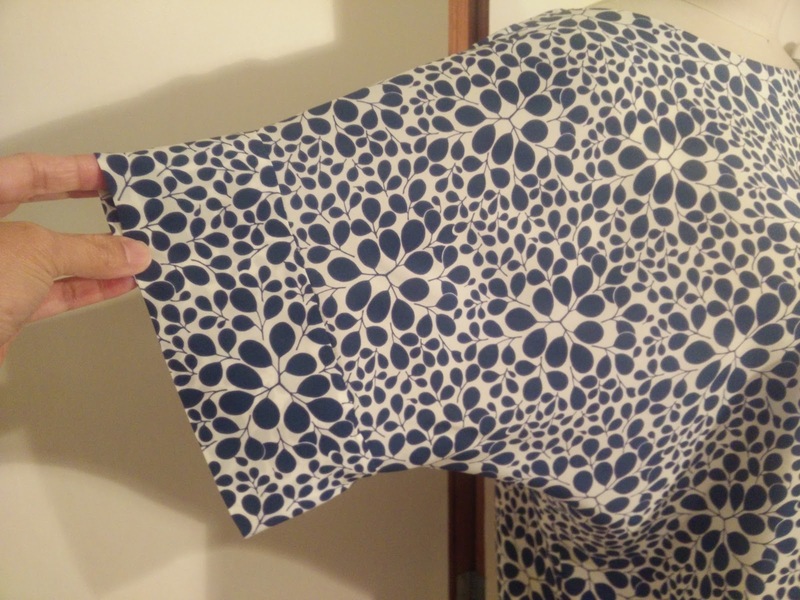 I chose to sew up the top using this great silk, which was also purchased from Bolt years ago. 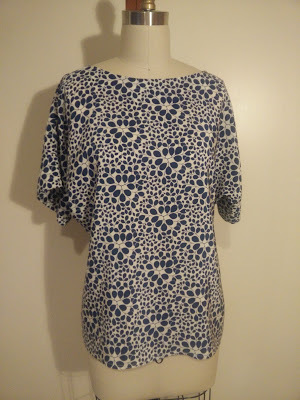 I love the print and the blue and cream colors. 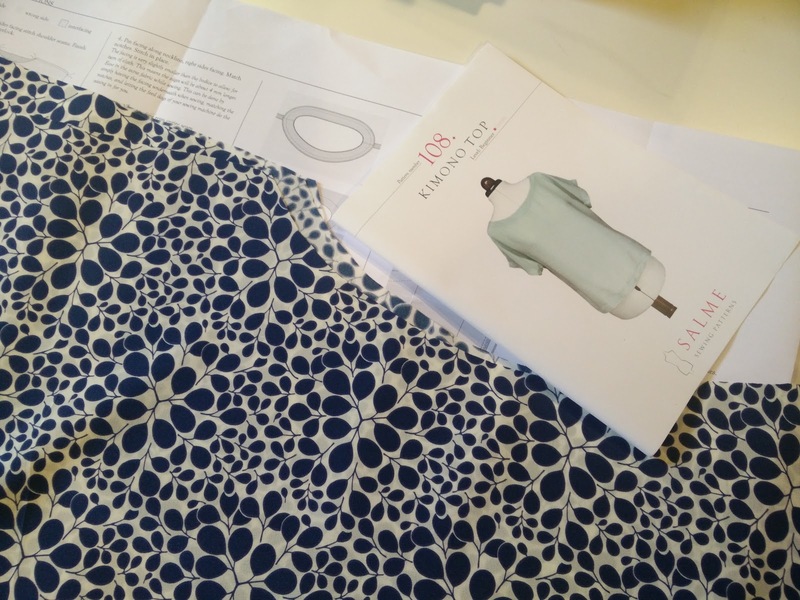 The pattern pieces come on a sheet and I traced out a size 6. The top sewed up fairly quick. 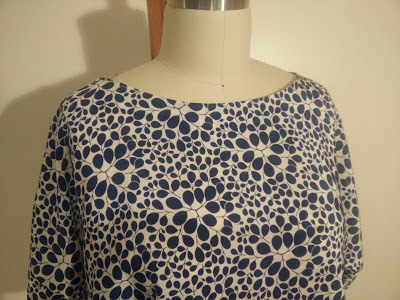 I really like the wide neckline and the cuffs, which can be rolled up or not. The directions were straightforward, but could have been more detailed and may be hard for a beginner to follow. I didn't like that the directions were printed on the pattern sheets. 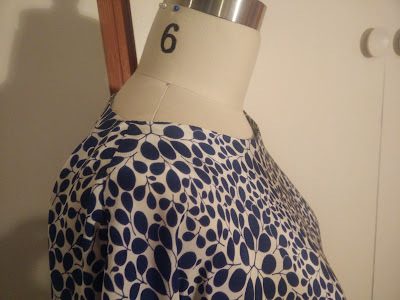 The huge sheet of paper was sort of a pain to manage while sewing. Another note: the patterns include a 3/8" seam allowance. Overall, I like how the top turned out and can see making this again. 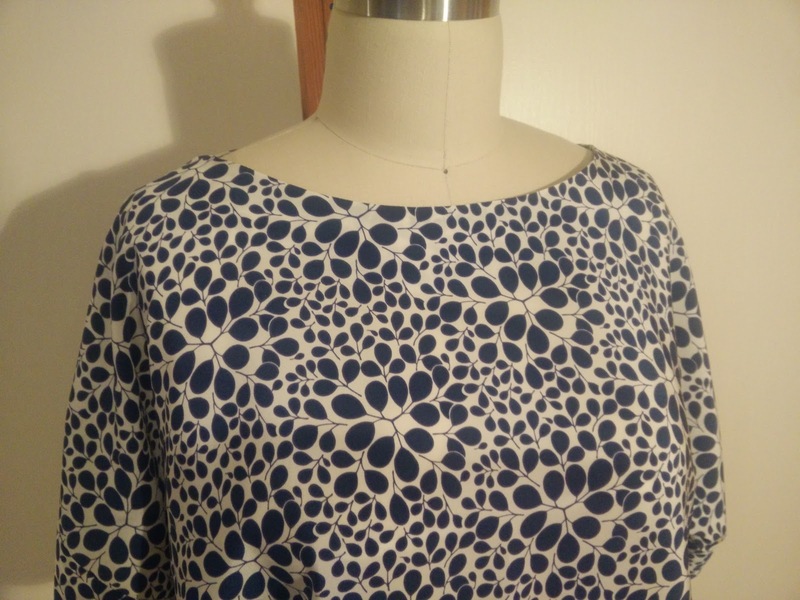 Such a nice top! A very good alternative to a tee and is giving me ideas.